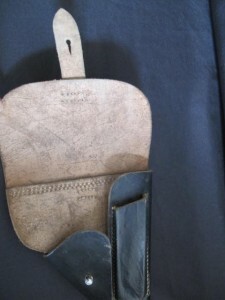 Third Reich German Army black leather soft shell P38 holster. 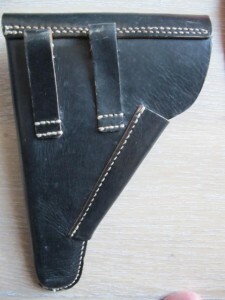 Complete with magazine pouch and belt loops to back. Good condition.